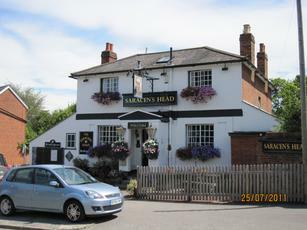 Went here yesterday as part of the "Brakspears Henley Ale Trail" Small seating area outside the front, Nice sun Trap but on Roadside edge. Nice Pints of Brakspears Best Bitter & Oxford Gold. 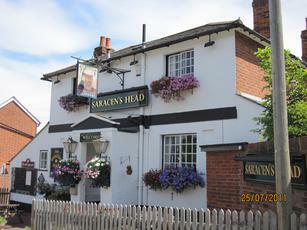 (The cheapest we found in Henley and one of the better pints, Nice interior and Friendly Staff/Landlady. Did not try the food but Noticed they did Toasties for �2, which is a good price these days. 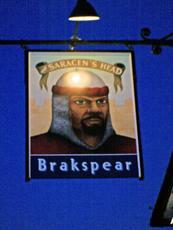 Would go back and wish this was my Local. 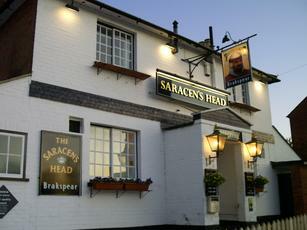 It is about a 10 Minuite walk from the Centre of Henly and 15mins from The Rail Station and Riverside. Give it a Go. A little forbidding from the outside and I have to admit to not expecting much when I went in. But to my pleasant surprise was greeted by a friendly barlady along with a very good pint of Hooky Dark (which is usually awful; Brakspear was the other ale). Pub interior was pretty spartan however there was a dartboard I was positively encouraged to use. The toilets were a bit poor, could do with some work. A good example of a relatively unspoilt two-room backstreet boozer from back in the day. Worth the extra two minutes up the hill from the Bird on this showing for a couple of games of arrows.